Cheapest I've seen - would have it myself if I had been nearer. £20 for a boot lid with mk1 spoiler, mk2 lip spoiler, new badge. It would "spoil" the look of my 75! Apart from somewhere to hang your cleaning cloths, I've never been a spoiler person. Just bought the bootlid and spoiler. Anyone who wants a trophy blue bootlid when I have the spoiler off can have it. So, which spoiler are you intending for use, the lip spoiler or the boomerang? 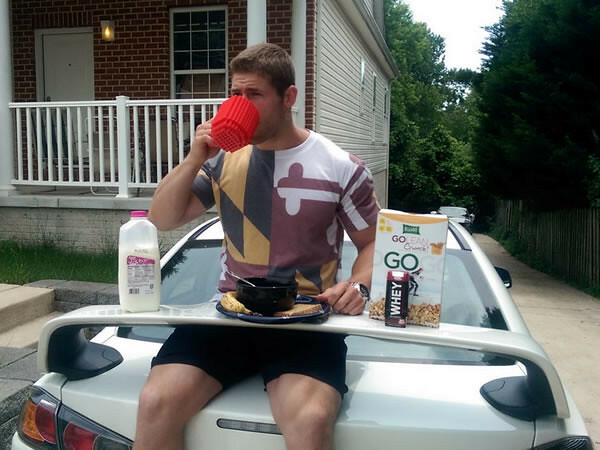 Cups sliding off. You lightweight! I will be fitting the boomerang. I will get my nephew to respray it GMN. Probably get my front bumper done at the same time. Been meaning to get that done for ages. Fetched The bootlid today. Nice run down to Luton.Seems as though the chap who sold it to me is a bit of an enthusiast for Rover/MG. I have taken the boomerang spoiler off, and it is in very good condition. 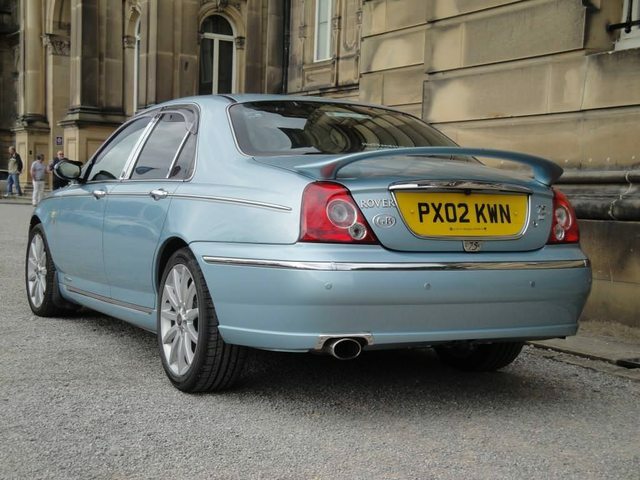 The boot lid is quite good and I intend polishing up to see if it is any good to pass on. The only thing is that, obviously now the spoiler has been taken off, where the spoiler was attached to the body, there are the attachment holes in the boot lid. These could easily be filled with silver solder, and resprayed if anyone wants a trophy blue boot lid with lip spoiler and numberplate lights.